Zachary Levi cast in Shazam! DC has found its Billy Batson. 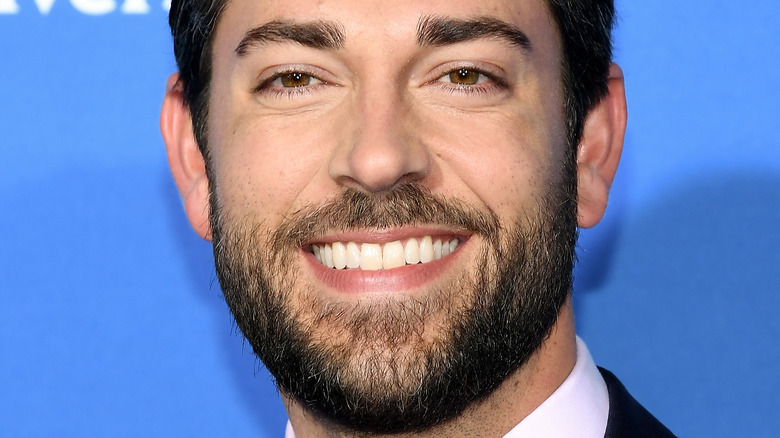 As announced by The Hollywood Reporter, Zachary Levi has been cast as the title character in Shazam!, the film adaptation of the popular DC comic book series. Directed by Annabelle: Creation helmer David F. Sandberg, Shazam! follows the life of Billy Batson, a teenager who discovers he has the ability to transform into a super-powerful, god-like adult superhero by uttering a single word: "Shazam!" The hero's name is an acronym of the ancient gods and historical figures Solomon, Hercules, Atlas, Zeus, Achilles, and Mercury, from which adult Billy Batson pulls his inspiration. Sandberg previously explained that Shazam! will feature plenty of laughs, and that he intends to do the comic book source material justice, despite not knowing about the hero when he was a child. "[Shazam!] is about a kid who becomes an adult superhero, so that's just gonna be so fun to explore." He also stated that the movie will be an origin story, so those who aren't familiar with the character shouldn't fret. "To be honest, it was not a superhero I grew up with either," he explained. "When I grew up in Sweden, there wasn't a lot of Shazam around. So it's someone who I've learned to love later in life as well, so I can relate to [people who are] new to Shazam. I think [it] might be a good thing that I'm doing it, because I know what you need to learn." Levi's casting comes after talk that John Cena and Limitless star Jake McDorman would land the lead role. Even Dwayne "The Rock" Johnson, who is on board to play the villainous Black Adam in the DC Extended Universe, offered up his own suggestion as to who should play Billy. He previously expressed his desire to see The Social Network and The Lone Ranger actor Armie Hammer portray Shazam in his Black Adam standalone film. Shazam! is currently scheduled to arrive in theaters on April 5, 2019.